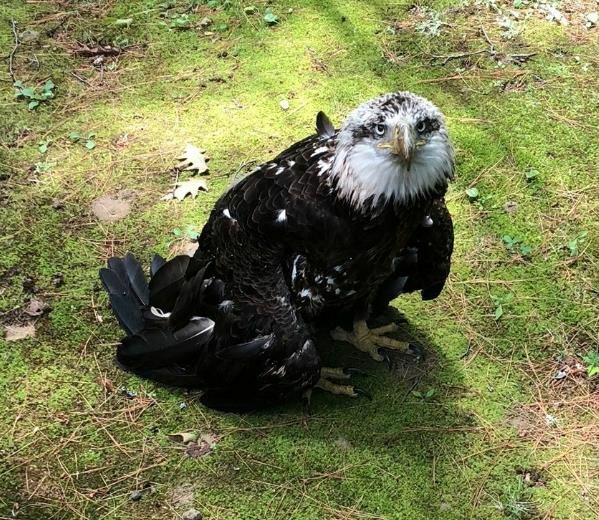 too severe, and the eagle had to be humanely euthanized. What caused the injuries is unclear. Officer Perkins and Officer Daniel Gaspard contained the bird and kept it from going into Route 12-A traffic. 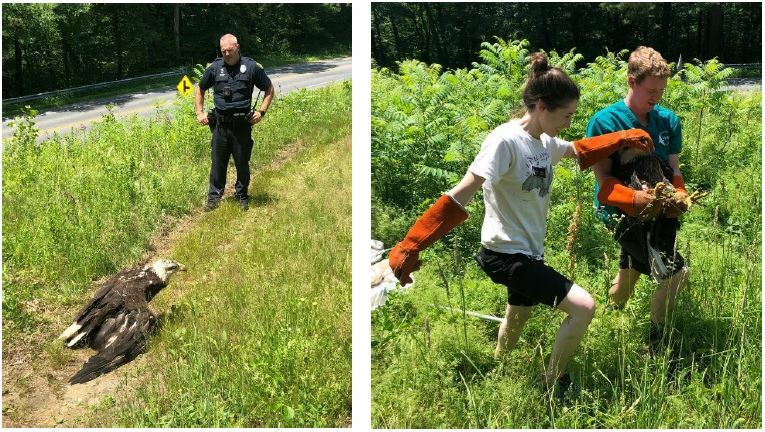 Officer Gaspard called VINS (Vermont Institute of Natural Science), who promptly responded to the scene and safely captured the Eagle. They plan to assess the Eagle’s injuries and hope to rehabilitate it.